When you’ve been around the range awhile, you begin to notice things breaking down and needing repair. Whether you’re looking for a range troubleshooting guide or on the hunt for range repair parts, we’ve got you covered! We’ll shed some light on common range problems, range repair parts you’ll need, and why/when to use them. Coil Surface Element: If you have a surface element not working, inspect the coils to determine if there is any breakage or blistering. If you have a smooth-top surface, look underneath to inspect if there is breakage or burned spots. If any of these indicators are present, you should replace the coil surface element. Surface Element Switch: If you’ve inspected the surface heating element and see no visible signs of damage, the surface element switch/dial may be defective. The stove switch sends voltage to the surface coil. If the switch is defective, the surface element won’t have continuity and therefore will not work. 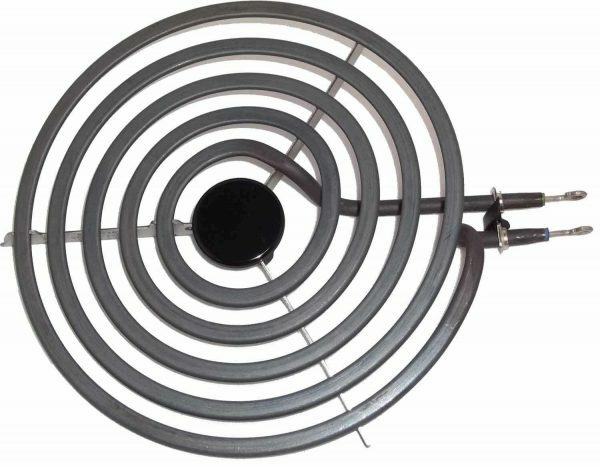 An easy way to check this is to trade the non-working burner coil with one of the same size that’s working. If the good surface coil no longer works on the questionable burner, then the switch is defective and needs to be replaced. Spark Module: The spark module provides power to the burner spark electrode. If the spark is weak or only sparks intermittently, the spark module may be defective. Before jumping the gun on the spark module, however, check to make sure the spark electrode is working and the spark wires are connected properly. If these two items are fine, the spark module is likely the culprit for the stove burner not lighting. The spark module is a common range repair part to fail. If this is suspected, replace the spark module. Spark Ignition Switch: When you turn on the stove burner, the spark ignition switch sends voltage to the spark module which produces a spark. If the spark ignition switch is faulty, that voltage won’t have continuity and consequently, no spark will appear. If the other burners are sparking properly, the spark ignition switch to the failed burner is probably defective. If you have a defective spark ignition switch, replace it. Spark Ignition Switch: When the electrical contacts inside the spark ignition switch close, power is sent to the spark module, producing a spark. If the spark ignition switch fails while the contacts are closed, the switch will continue to send voltage to the spark module which makes the sparking action happen repeatedly. If the switch contacts are wet or stuck in a closed position, the same thing will happen- continuous voltage to the spark module. Use a multimeter to test each of the switches for continuity. If there is indeed continuity at all settings, replace the switch. Spark Module: The spark module provides power to each surface burner spark electrode. If your burner is sparking repeatedly, the spark module may have failed. Make sure you have already checked the spark ignition switch, as this is more likely to be the cause for the burners to keep sparking. If the spark ignition switch is working properly, you should consider replacing the spark module. 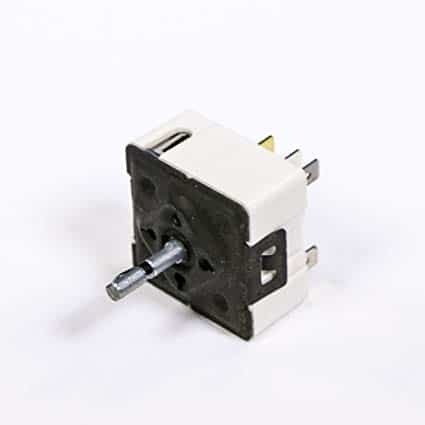 Surface Element Switch: The surface element switch is one of the common range repair parts to need replacement. 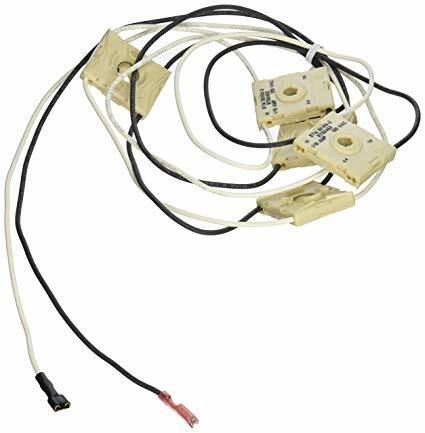 This surface element switch sends voltage to the heating coil. 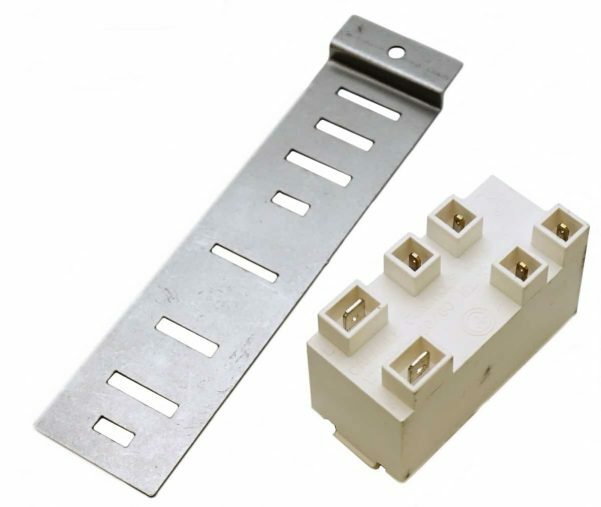 Occasionally, if the surface element switch fails, the electrical contacts within the switch will fuse together resulting in continuous voltage flowing from the switch to the surface heating element. If the surface element switch is defective it needs to be replaced. If you are unsure of DIY range repair, you’re not alone. It’s always a safe bet to call a professional appliance parts dealer to help with the problem. You’ll still be ahead of the game if you have an idea of what is going wrong, and are informed when the technician tells you what parts are needed. Ordering the parts yourself may also save you money in the repair service.